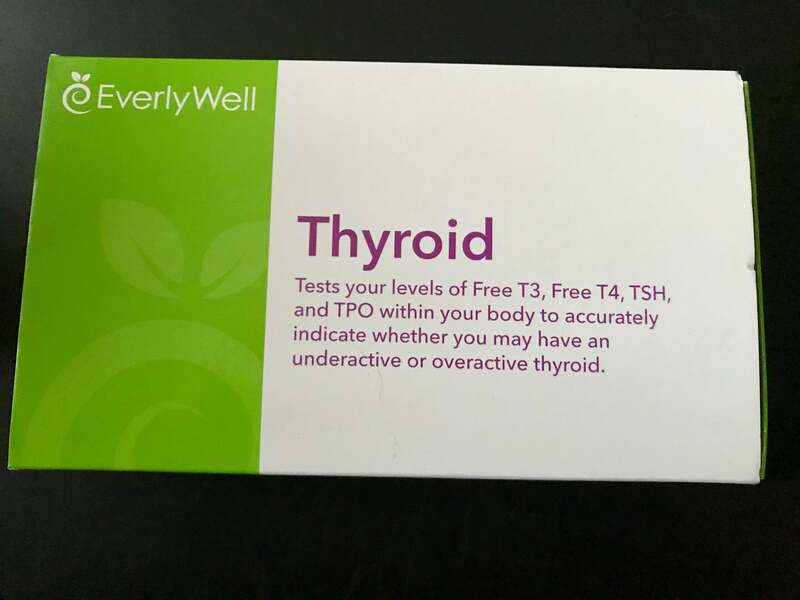 Disclosure: I received a complimentary thyroid test kit from EverlyWell for review purposes. All opinions are my own. I was diagnosed with hypothyroidism in my 30s. That means my thyroid is sluggish and doesn’t produce enough thyroid hormone to perform important functions like keeping me alive. I’m being flippant, but the thyroid is considered your master gland because it controls nearly all your basic metabolic processes, from cardiovascular function to fat burning. Most people don’t know their thyroid is phoning it in until they experience weight gain/inability to lose weight (most common feature of hypothyroidism), hair loss, constipation, and/or infertility. Hypothyroidism runs fairly rampant in my family, so I know there’s a genetic component for me. My mother was diagnosed around my same age, my father in his 50s I believe. It’s believed that around 90 percent of cases of hypothyroid are caused by Hashimoto’s thyroiditis, an autoimmune condition (you can read my post on the topic here) where the immune system attacks thyroid tissue, causing hypothyroidism. I personally have primary hypothyroid, which just means my thyroid is sluggish. You can read my post on hypothyroid here for causes. In my practice I work with many, many women who struggle with thyroid disorders, and in dealing with hypothyroidism myself, I’ve learned a lot outside the box that enlightens me to better help my own clients. I recommend all my new clients get bloodwork to check thyroid levels (and more), and those with hypothyroidism need to be more vigilant to check thyroid hormone levels regularly so they can ensure their meds are dosed properly, or track healing progress if they’re not making medication. So this is where EverlyWell comes in. 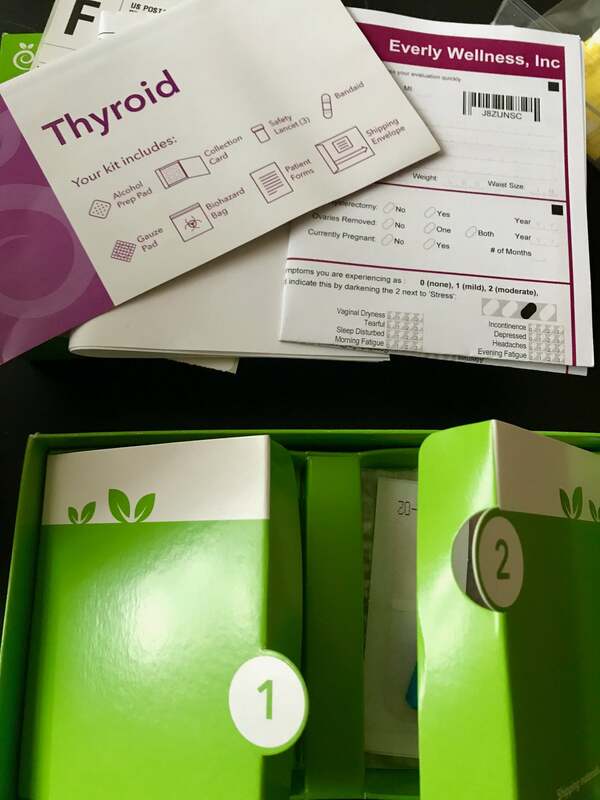 I’ve been checking my thyroid levels every few months for the past 6 years and have needed to change my medication dosage from time to time (I take a natural thyroid hormone replacement called WP Thyroid). That meant regular trips to the lab, often with a requisition form from my naturopath (when I didn’t order the tests I needed myself). EverlyWell has eliminated that need with their home test kits. I was SO PSYCHED to learn that they offer a thyroid panel in addition to food sensitivity testing (which I had done prior). 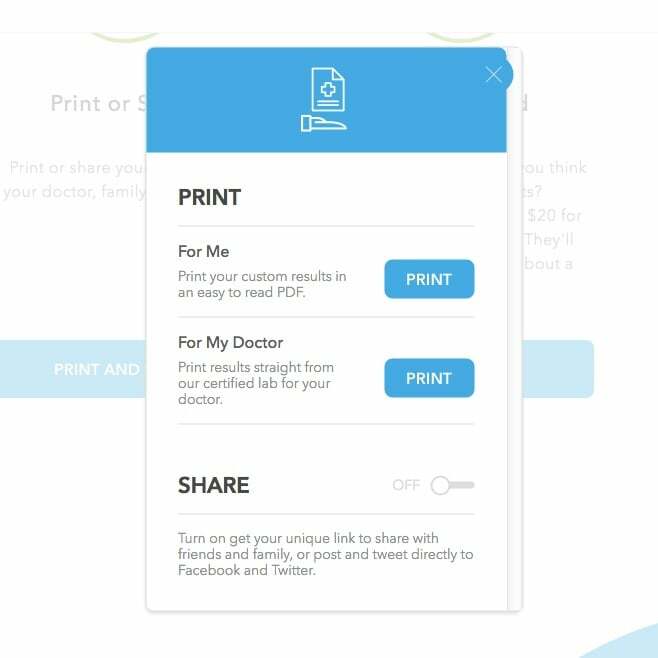 EverlyWell makes the process super simple. Your test kit arrives quickly. Mine came 2 days after ordering. Everything is very well organized, and the directions are clear and easy. I appreciate the streamlined design. There are a few lancets with which you’ll need to prick your finger and squeeze blood out onto a card. This is the hardest part for me. It can be difficult to squeeze enough blood out, and while I don’t mind being pricked by someone at a lab, it’s surprisingly hard for me to do it to myself. 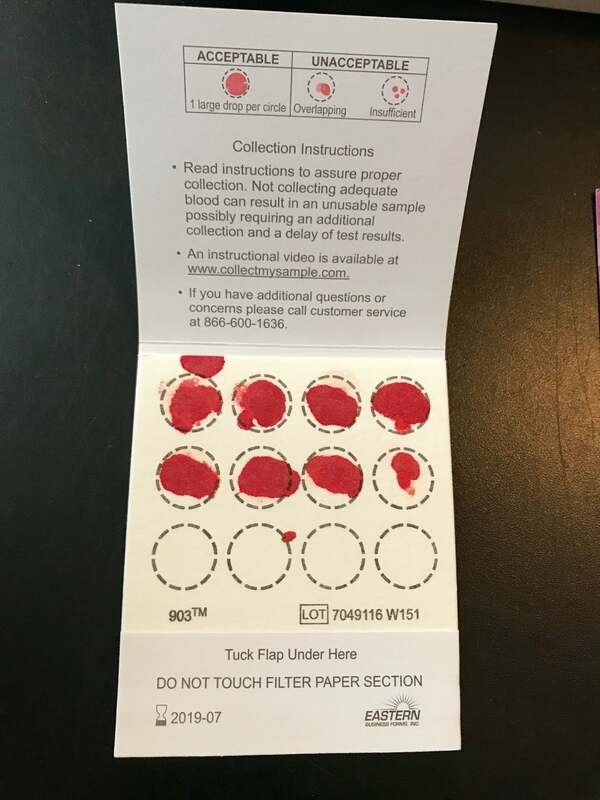 You fill out the paperwork attached, include with the bloodspot card, package it all up with the included shipping materials and send it off! I sent my results off on a Wednesday, and I received them 7 business days following, not including the weeked (though one of those days was a holiday). Fairly quick turnaround, but I get typically get my lab results back within 2 days when I go to the lab. A board-certified physician in your state will review your results before they are released to you. You can log in to see your results, and there’s plenty of info about your test and what your results mean. The ranges they use are optimal and not as wide as conventional lab ranges, where a lot of hypothyroid cases fall through the cracks because tests come back “normal” in a very wide range when the levels are actually outside the optimal range. 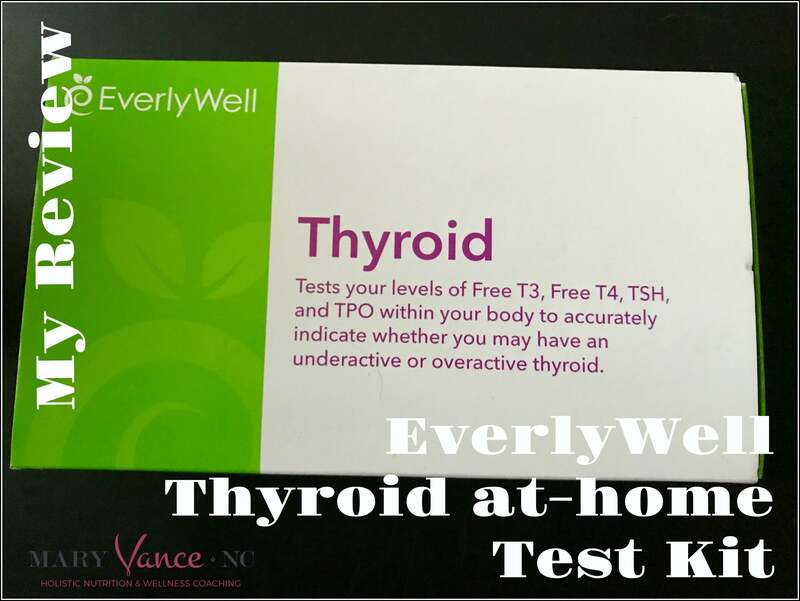 The thyroid test checks TSH, free T3, free T4, and TPO antibodies to check for autoimmune thyroiditis. My TSH and T3 are both right about perfect, and everything else looks good. I’m happy with these results. You can click on each card below (when logged into the site) to get more info on what the markers mean. You can then share with your doctor or download, etc. If you need help or want more info about your results you can contact them. I was impressed with the amount of information they included on thyroid health and how to optimize thyroid function. 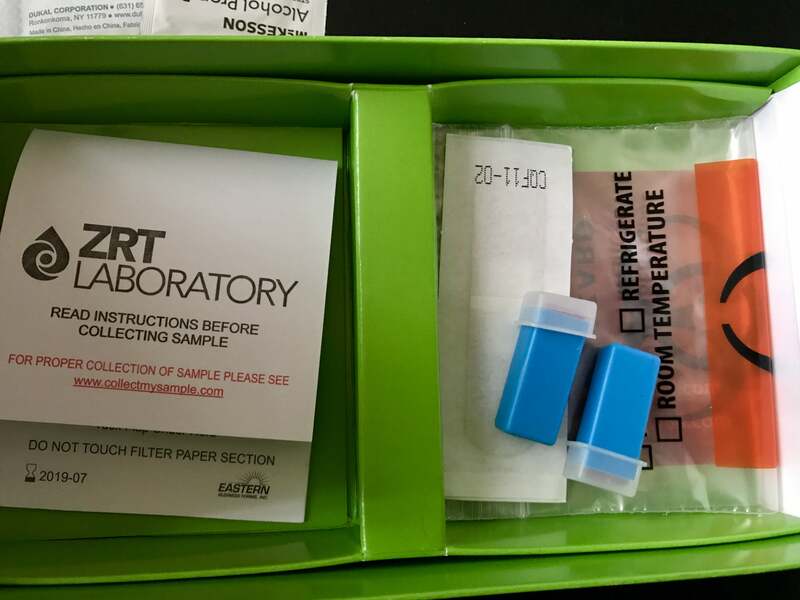 First off, I love that these at-home test kits are available. It’s so important to be able to take your health into your own hands and not be dependent upon your doctor or insurance for health assessments. EverlyWell offers all kinds of hormone and metabolic panels. Secondly, the kits are so well organized, and the directions are very easy to follow. Overall, the process is a breeze! If you get nervous about blood draws or hate going to the lab, these tests are for you. The only downside for me was I HATE pricking my own finger, and it’s hard to squeeze out the amount of blood needed (they do address how to troubleshoot this). I actually don’t at all mind having blood drawn at the lab and don’t find it painful at all. Also my lab turnaround time is far faster than these results. However, if it wasn’t convenient to get to a lab (e.g. you are an at-home mom with a baby or don’t live near a lab), this is a perfect option. I would recommend these kits to my clients and especially anyone on thyroid meds who needs to monitor his/her thyroid levels regularly. 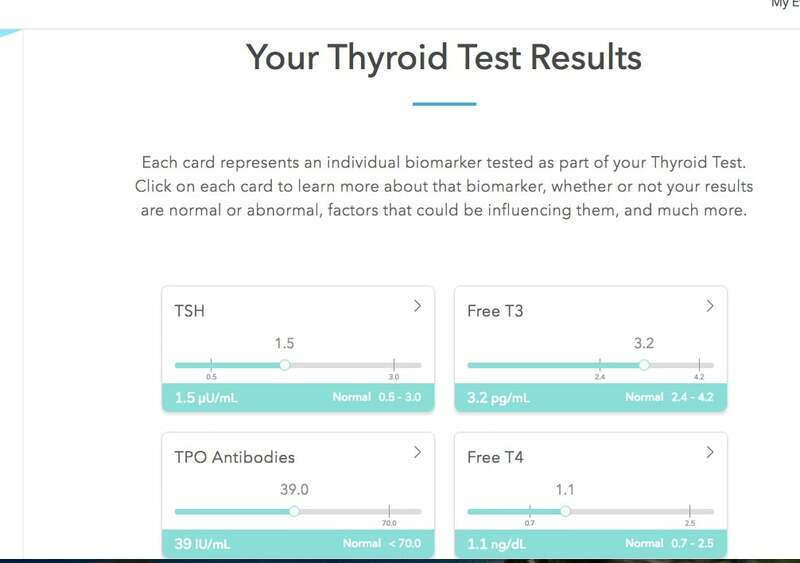 I also love that this thyroid panel checks antibody levels (that’s the TPO marker above) to diagnose Hashimoto’s or monitor your progress if you have Hashimoto’s and are on a healing protocol. All in all, I highly recommend EverlyWell as a company and love that they’re helping people take an active role in monitoring their health. Do you want to try an EverlyWell at-home test kit? Get 15 percent off any EverlyWell kit. <– click to enter the store! Do You Want to Learn Even More about what your thyroid numbers mean? 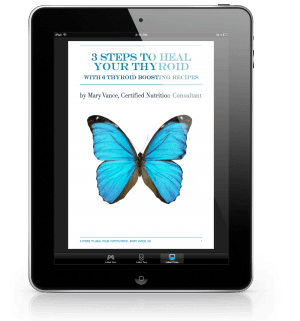 Check out my fabulous little resource guide, 3 Steps to Heal Your Thyroid. It’s only $12.99 and you can download it with a couple clicks to gain immediate access to all this wonderful information. I don’t see a date on this post, so I’m not sure if this is a new product or not. I’m curious to know if these results were close to what you experience when going to the lab. Did you find them to be accurate? Paige, I do find them to be accurate. They are pretty transparent on their site about their testing methods and accuracy. How much does it cost to have your blood tested from the labs? How much are the kits? Anita, if you follow the links to the EverlyWell store, you’ll see all the kits offered + the prices.